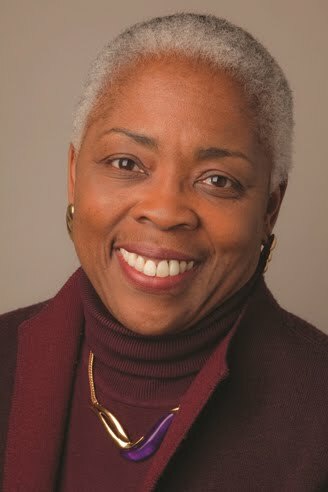 ﻿Deborah Wilds, president of the College Success Foundation, which provides college scholarships, mentoring and support to low-income students and students of color, will address graduates at Whitworth University's 121st undergraduate commencement ceremony May 15. President Beck A. Taylor will be the speaker at the graduate commencement ceremony May 14. Wilds will give her address, "Greatness Sought: Servanthood Taught," during the undergraduate ceremony, which will take place at 3 p.m. on Sunday, May 15, at the Spokane Arena. Nearly 580 Whitworth undergraduates will receive their degrees. Taylor, who is presiding over Commencement Weekend for the first time since becoming Whitworth's 18th president, in July 2010, will speak at the university's graduate commencement ceremony on Saturday, May 14, at 10 a.m. in Whitworth's Cowles Auditorium. He will deliver his address, "Be Still," to an audience including nearly 130 graduates receiving master's degrees in education, teaching, counseling, business administration, international management, and theology. Noted pastor and scholar Eugene Peterson will offer the homily, "Jesus and His Friends," for the baccalaureate service on Sunday at 10 a.m. in the Whitworth Fieldhouse. Peterson, a Montana native, has written more than 30 books, including the Gold Medallion Book award winner The Message: The Bible in Contemporary Language, a widely used contemporary paraphrase of the Bible. Peterson's grandson, Andrew, is a graduating senior and will introduce Peterson at the service. Peterson's granddaughter, Sadie, is a freshman at Whitworth. Whitworth Commencement Weekend events begin Friday, May 13, and will include a senior communion and commissioning service, a senior reflections slideshow and showcase of senior class talent, an art exhibit, a music recital, and an English department reading featuring graduates' capstone achievements. For complete Commencement Weekend details, visit www.whitworth.edu/commencement. During the undergraduate commencement ceremony, three students will receive President's Cup awards for maintaining a 4.0 grade point average throughout their undergraduate education. Recipients are Pierre Biscaye, Kari Olson, and Kelsey Pagh. The Whitworth Servant Leadership Award, which honors a graduating senior who has exhibited an extraordinary commitment to serving the campus and the larger community, also will be given during the ceremony. Undergraduate commencement speaker Deborah Wilds currently serves as president and chief operating officer of the Issaquah, Wash.-based College Success Foundation, which aims to increase degree attainment among low-income students and students of color. To date, the foundation has awarded 4,600 scholarships to help achieve that goal. Prior to coming to the College Success Foundation, Wilds was a senior program officer for education at the Bill & Melinda Gates Foundation, where she served as the foundation's liaison to the Gates Millennium Scholars Program, the Gates Cambridge Scholars, and the Washington State Achievers Program, and developed other college- access-related programs for students from low-income and underrepresented racial and ethnic populations. She also was responsible for the Gates Foundation's early college initiative to create 250 new early college high schools across the country. Previously, Wilds also has served as the deputy director of the American Council on Education's Office of Minorities in Higher Education, in Washington, D.C., and she was the senior author of the ACE's Annual Status Report on Minorities in Higher Education. Wilds holds a Ph.D. in education policy, planning and administration from the University of Maryland at College Park. She received an M.S. in education administration from Howard University and a B.S. in speech pathology and audiology from the California State University, San Diego. Beverly Kleeman, registrar, Whitworth University, (509) 777-4548 or bkleeman@whitworth.edu.